Open a present every day! The festive season is upon us! It’s time for cold weather, dark nights and frantic shopping, which can all get a little stressful at times. Not to worry though, grab a hot chocolate, wrap yourself in a blanket and cozy up with Energy Casino as they launched their Christmas Calendar. 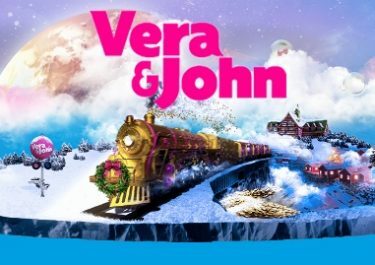 Join in with the countdown, as the calendar celebrates Christmas with you every day, leading up to the 25th December 2018. Yes, every day will feature a new offer, so there’s sure to be something for you! Get started now and enjoy the feeling of unwrapping a present every day. 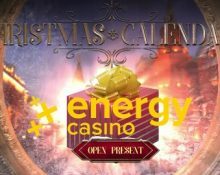 Energy Casino launched on 1st December 2018 their famous Christmas Calendar, which is filled year with tons of bonus spins or as they call them Energy Spins, Super Energy Spins, Deposit Bonuses, Wager Tournaments and a grand finale on Christmas Eve. Wagering requirements apply to all Christmas Calendar offers, subject to the Energy Casino bonus terms and conditions. Start the countdown with a complete freebie, no deposit required. Simply guess the game and be one of the first 500 players opening the correct game between 17:00 – 23:50 CET to enjoy 5 EnergySpins at €0.20. Only one amount of spins per account and player. 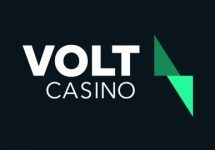 Wagering requirement is 15x winnings within three days, subject to the Energy Casino bonus terms and conditions. Answer is The Legend of Shangri-La: Cluster Pays™. Place a €20 bet on any Live Roulette table from Evolution Gaming and get a €10 bonus back on the next day, credited by 17:00 CET on Monday. Even chance bets do not qualify. Wagering requirement is 1x bonus. Deposit €10+ | €50+ | €100+ to instantly get 15 | 70 | 150 bonus spins on Wild Bazaar. Wagering requirement is 15x winnings from the bonus spins within three days. Enjoy 10 EnergySpins on Asgardian Stones™, no deposit required if you are one of the first 500 players loading the game at 17:00 CET. Wagering requirement is 15x winnings on slot only within three days. Wager minimum €250 or currency equivalent on slots to be eligible for a 5% cashback on losses. The losses will be calculated as real money bets, minus real money returns. Bets placed with bonus funds will not be taken into account. Minimum cashback is €5, up to a maximum of €250, credited in cash by 15:00 CET on Thursday. Take part in today’s tournament and you could win up to 100 EnergySpins on Fruit Shop Christmas Edition, credited instantly after the tournament has ended. Wagering requirement is 15x winnings from the bonus spins within three days. 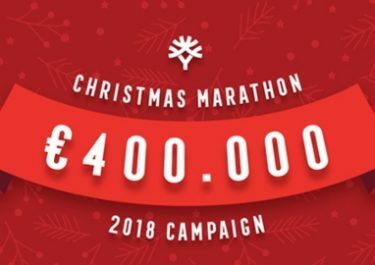 Pick Santa Reload A OR Santa Reload B in the banking lobby and deposit minimum €10 to receive a 100% deposit bonus, up to €50. One of the two bonuses has a 2x win multiplier attached. Any winnings generated with the bonus will be boosted by up to €200. Wagering requirements is 35x deposit + bonus. Check back on Sunday when we reveal the next Christmas reward.